Looking for a great place to work and live? St. Joseph's Hospital is a 300 bed acute care facility located in Parkersburg, West Virginia at the confluence of the Ohio and Little Kanawaha rivers. The service area includes three counties in Ohio and eight in West Virginia (total population of 320,000). The hospital has a diverse medical staff numbering 150 physicians and offers a wide variety of services, including open heart and most surgical specialties. 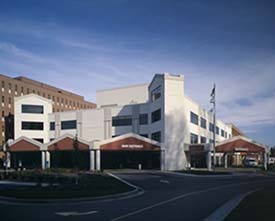 In December 2000, St. Joseph's was named as one of the nation's 100 Top Hospitals.